Jojoba oil is a natural vegetable (base) oil. It has a whole range of unique properties, due to which it is called plant wax and "liquid gold". It is made by the method of cold pressing from seeds of simonds of Chinese. It is a shrub that grows in North America and Mexico. At present, it began to be cultivated in Australia and Egypt. Jojoba oil looks like a liquid of yellow color. At low temperatures (storage in the refrigerator) it thickens and becomes like wax. 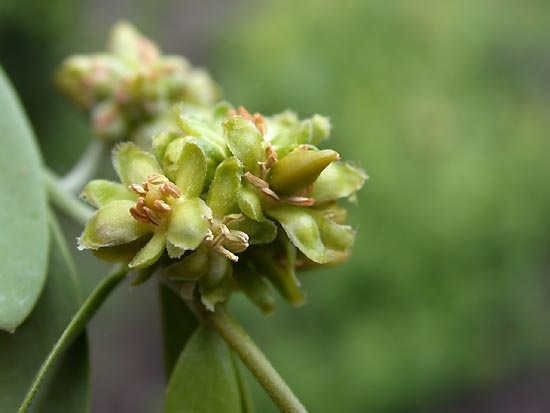 Jojoba oil has moisturizing, antioxidant, anti-inflammatory, hypoallergenic, antiseptic and other medicinal properties. Oil is actively used for cosmetic and medical purposes. It well manifests itself in the care of skin of the face and body. It can be added to cosmetics, used alone or mixed with other essential oils and base oils. Jojoba oil moisturizes the skin, fights rashes and redness, increases its elasticity, reduces wrinkles (especially around the eyes), improves complexion. This oil heals, softens and moisturizes dry, weather-beaten lips. Also, jojoba oil is used to treat and care for the hair. It is useful to enrich them with shampoos, creams, masks and hair balms. It is better to add a few drops of oil to the cosmetic product immediately before use. Very good at the condition of the hair is aromatic. To 3-4 drops of jojoba oil, add 1-2 drops of essential oil of sage, lavender or orange, apply the mixture on a wooden comb or comb and comb the hair thoroughly. This procedure is very effective in the care of dry and brittle hair, as well as with a strong hair loss. In medicine, jojoba oil is used in the treatment of various skin diseases (dermatitis, psoriasis, eczema), with the elimination and prevention of scars and stretch marks, inflammation of the joints. It is great for skin care for babies.